Mga momshies, hindi lang pala National Reading Month ang ganap ngayong November. We are also celebrating National Music Week (November 21-26). 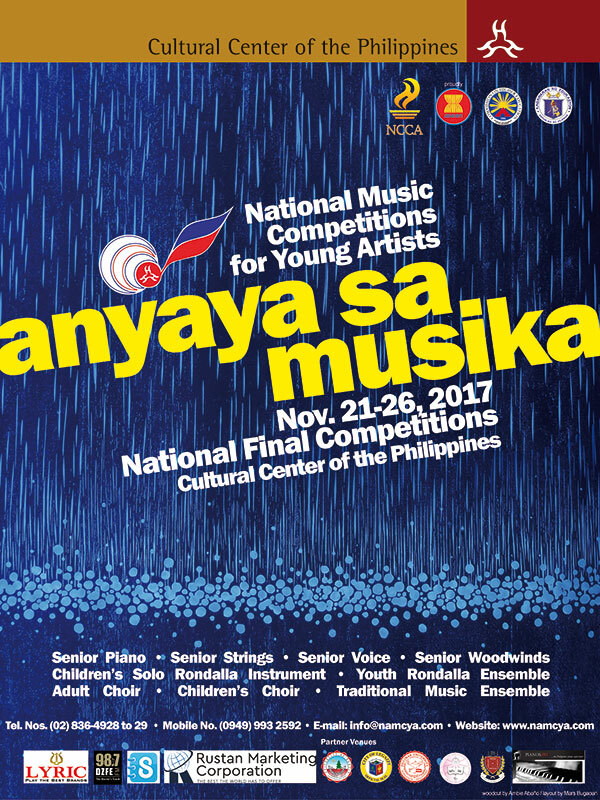 Kasabay nito, gaganapin ang Finals Week ng National Music Competitions for Young Artists (NAMCYA) sa Cultural Center of the Philippines. Last year, our family was able to watch NAMCYA's concert that featured world class Filipino young artists. My five-year old son appreciated the performances especially the guitarists. He was well-behaved and focused during the guitar performances. We are excited to watch the concert of group winners and closing ceremonies this Sunday with our homeschooling buddies. We are always looking for musical plays and concerts where we can expose our child to the arts. Congratulations in advance to my homeschooling buddy, friend and fellow mommy blogger, Em Alcantara (NAMCYA Program Director) for organizing this event. Happy National Music Week!